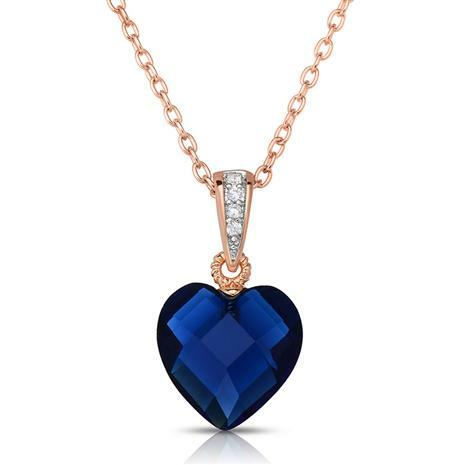 The Rock of Love DiamondAura® Blue Heart Pendant is a massive 10.5 mm and at almost 5 ½ carats, it has a way of conquering all ” those who wear it and those who are mesmerized by its stunning appearance. The heart shaped, lab-created DiamondAura pendant's brilliant cut maximizes the fire and radiance of the stone so that the light disperses into an exquisite prism of colors. 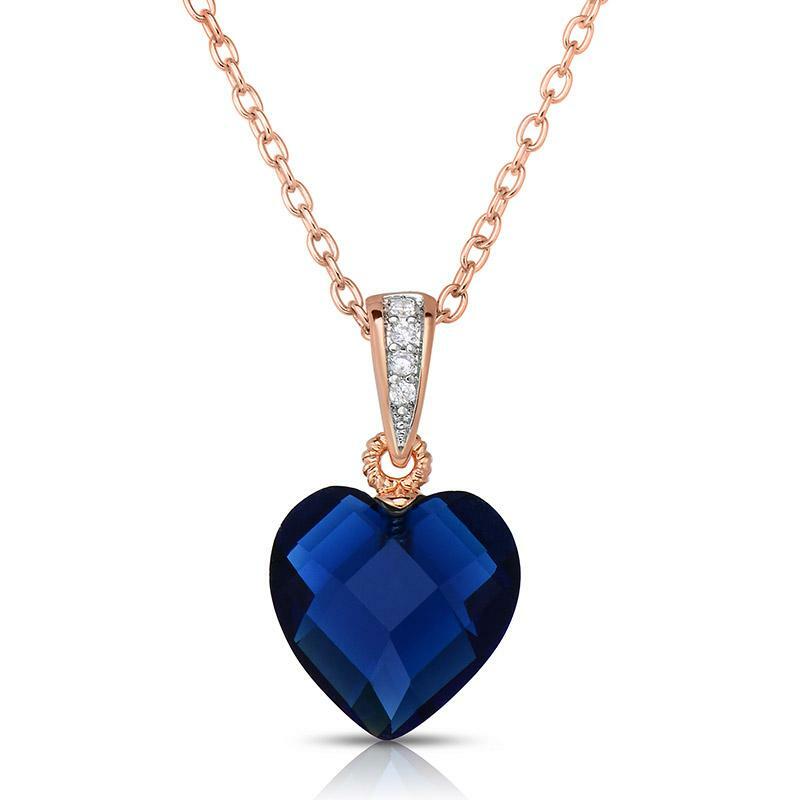 With the Rock of Love DiamondAura Blue Heart Pendant set in .925 rose gold-finished sterling silver, this is your chance to standout and be the boss of love.